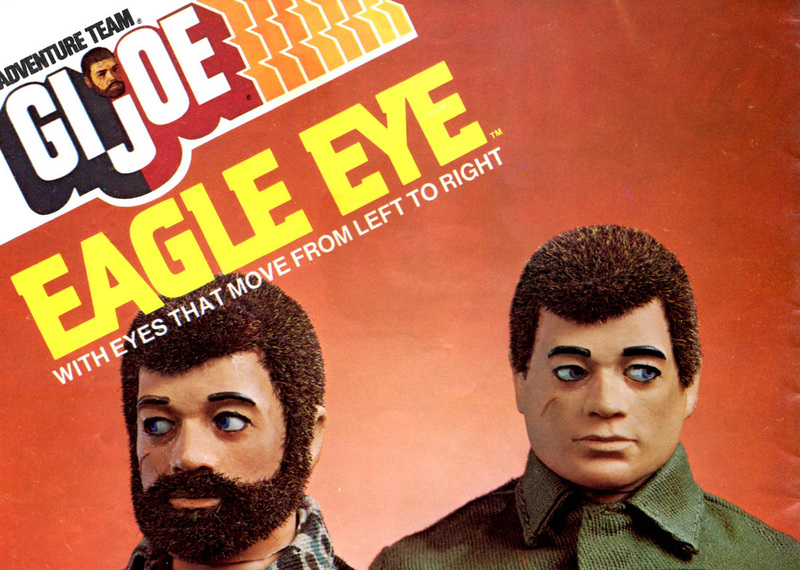 The Eagle Eye Man of Action (7277) uses a moving eyes mechanism. A small lever on the back of the figure's head allow the eyes to move left or right to scan for adventure. This figure has been found on the card wearing the same fatigues as the Sea Adventurer, though most wear standard green. Hasbro also released an Eagle Eye Land Commander.